The Guerilla Girls used parody – satire to comment on the serious nature and rationale of the original – in their Naked poster, 1989, by appropriating Jean-Auguste-Dominique Ingres’ Large Odalisque, 1814. They clearly keep the exact pose and body of the woman in the original, but transform her into a grotesque ape. The intention is to manipulate the original as a means of revealing the ugly sexism of art and museums. The use of parody was one of the postmodern art movement’s ways of deconstructing the dominant narratives that been so prevalent in art and design up until the 1980s. Eggebeen, Janna. VISD-2006: Graphic Design History. 5, Apr. 2019, Ontario College of Art and Design, Toronto. Class lecture. Emil, Krén, and Daniel Marx. “The Grand Odalisque.” Web Gallery of Art, www.wga.hu/frames-e.html?/html/i/ingres/05ingres.html. Q: So Michael, pleasure being able to meet you, it’s unfortunate that Nigel wasn’t able to make it to this interview – but hey, let’s look at the bright side, all the more spotlight for you, eh? I’ve got to tell you, that CIA UFO poster was a great hit, I mean Pink Floyd is brilliant in itself but many forget to credit the artists behind their visual image I believe. You know when I think of Pink Floyd or any artists for that matter I think of the posters, the CD covers and what not that mold a visual image in my mind, and for a whole lot of other people I believe, so tell me Michael, how did this project begin? Did you know Pink Floyd personally at the time? Oh no *laughter* well, Nigel and I knew of Pink Floyd, a fascinating take on music I must say, but the connection to the project came from our work under the alias Hapshash and the Coloured Coat, where Nigel and I took on work in very expressionistic and psychedelic manner. I can’t really get my head to which one of our pieces caught the director’s eye but one of the surely did, and just like that, we had the job! We got the opportunity to meet Pink Floyd subsequently, so it unfolded in reverse actually. Q: Now that’s without a doubt one hell of an opportunity, the pseudonym though–can you tell us about that, why Hapshash and the Colored Coat? Was it to separate the expressionism and the representational, the clientele? Well certainly, you know how it goes in the art world, it doesn’t matter where you stand–there’s always going to be critics. I mean, it is a burden having to live two different lives, or four for that matter inclusive of Nigel, but at the same time, we’re not losing too much of our clientele at the same time, think of it as expanding into a different niche market, with the only change being our customers reporting to two different recipients who are unknowingly the same. Moreover, it was a personal reason that we decided to go under the alias. Sometimes you want to let your creativity flow and not be restricted to the bounds of representation; and we though well, if we can make an earning of our experimentation, why the hell not? Our concept was to plaster the streets of London with this brightly colored and beautiful poster work at a time when most of the posters in the streets were rather drab and wordy. I never did think it would take us to Pink Floyd though. Q: Make use of everything and follow your mind, I agree. So CIA UFO, take us through the project, did they give you any concept or boundaries whatsoever? Or did they let you do your own take on things? It was a very cooperative project to be honest, although we were pretty much free to do it in our own way, or well you could say they had their faith in us from our previous work. 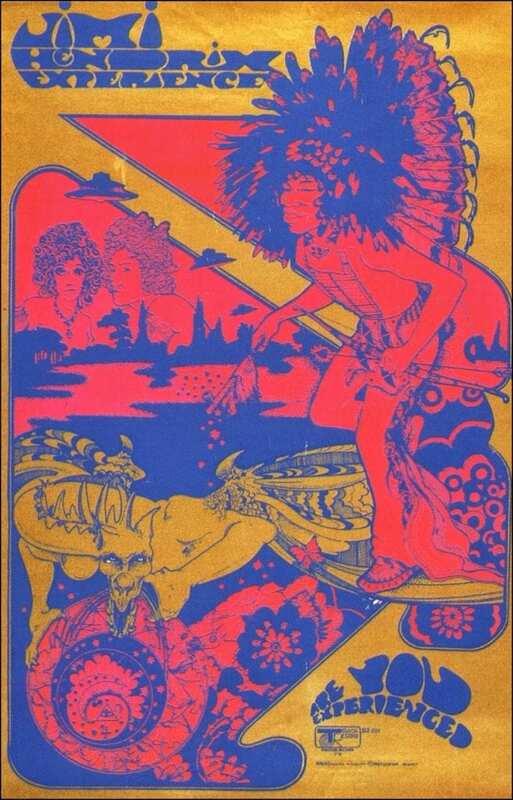 If there was any requirement at all, it was mainly to incorporate the psychedelic vibe to the design in as many aspects as possible, you know? The composition, the color scheme, the text, the symbolism, I could keep going. We worked on a Jimi Hendrix poster on the same year actually, and it was pretty clear that’s what they wanted, psychedelics-the directors, the musicians themselves, society–everyone! Q: It definitely is intriguing to see how the psychedelic movement wasn’t bound to San Francisco or just America overall for that matter, so how did you and Nigel approach this style artistically? Q: Oh please, do tell! 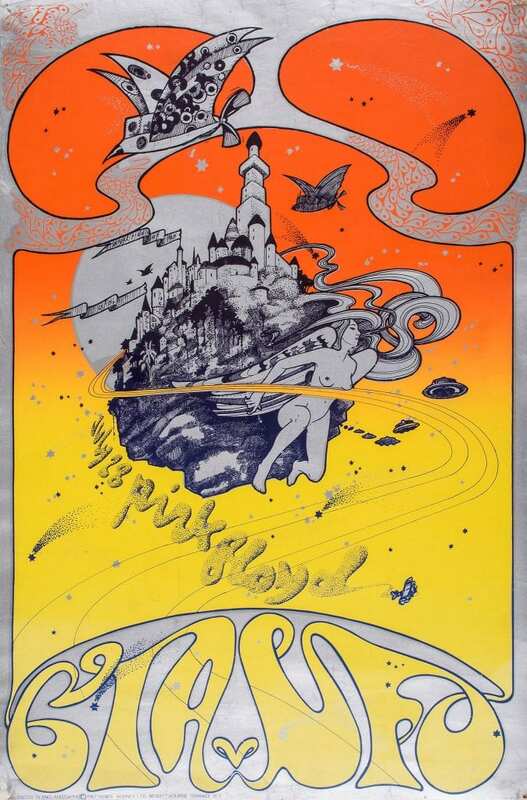 Well, first off we thought a lot of Art Nouveau was too clustered, we wanted the opposite of horror vacui, the castle floats in empty space in the composition, which was our own way of conveying that psychedelic atmosphere through space, freedom, and peace of mind. We played with the typography too. It’s a tad bit more fluid and experimental if you compare it with a lot of Art Nouveau work. Q: Did it work out? I mean I loved it, but how was it received by the Floyd group? Do you see it having any influence on future generations as well? Well, it did get published and Pink Floyd hired us again for a few other posters, so I think it grooved well with the lads. It’s one of my favorites to be honest, both in terms of its composition and the fact that we had the honor of doing it for the music group. History does repeat itself as they say, as Art Nouveau influenced us in our making of this poster, perhaps someday in the future CIA UFO will inspire another youngster in his own movement. Q: Well that is a wise take on the subject Michael, I hope it will too. Thanks again for being with us, all the best in your career. Coulthart, John. “Michael English, 1941–2009.” Feuilleton, 6 Feb. 2012, www.johncoulthart.com/feuilleton/2009/10/03/michael-english-1941–2009/. Council, British. “Hapshash & The Coloured Coat.” Visit Visual Arts, visualarts.britishcouncil.org/collection/artists/hapshash-the-coloured-coat. 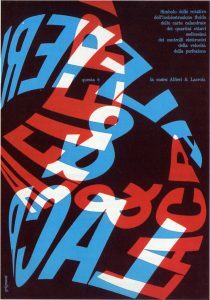 Franco Grignani’s Alfieri & Lacroix (1960) provides consciousness of the sensation through colour and movement. Through the dynamic ever changing and folding words, the colours of red, blue and white are contrasted to the backdrop of a warm dark violet. The intercrossing of the sleeking, smooth blue and red, create a sense of a rough, carpet like texture. Like patches and tuffs of corse fabric sticking out of sleek steal craved shapes. The stark contrast conflicts my mind with my physical sense of touch. The confrontation feels as though its wrangling between the idea to run away or to fix the situation. The compulsion and craving to cut the rough patches of toughs out of the piece stimulant only the feeling of unsettling perplexity. The warmth of the background composes the only impression of clarity and reconciliation between the sense of touch and individualistic feeling. Q: Hello, Mr. Glaser. My name is Wing Lin, and today I am going to interview you about your working experience and the inspiration behind your art pieces. Nice to meet you. You look good in your black suit today! A: Nice to meet you too, and thanks for your praising. Q: Alright, how about we start with your personal experience of drawing. How old did you start to paint? And what kinds of motivation that leads you to become a graphic designer? A: When I was a child, I liked drawing very much. In New York, my mother would spend a lot of time with me on drawing. I think that’s where I started my art career. In my high school, I decided to continue my interest so that I could improve my painting skills. I graduated from Cooper Union school where I realized that I loved painting and I wanted it to be my major throughout my entire life. Therefore, I went to Italy to study printmaking and graphic design from 1952 to 1953. The motivation is only my immortal passion of art, which gives me great spiritual support. Q: I know there is always a reason behind when you kept doing something and you did a good job at it. So what happened while you are studying in Italy? Did that experience effect your art career or what did you learn during that period? A: I did learn a lot. Especially I had been influenced by one of my friends that I met in Italy. His name is Giorgio Morandi, and he is an Italian painter. 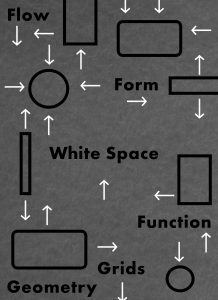 Most of his works are very simple and constructive. He usually paints the still life as subject matters, such as boxes and bottles. So now you can see that my style is slightly similar to his works, because I was influence by him and developed my own style. 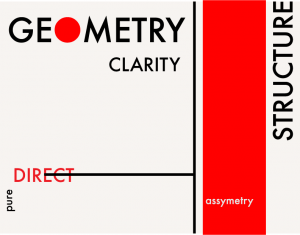 Q: Yes, I can tell that the feature in your work is simplification. 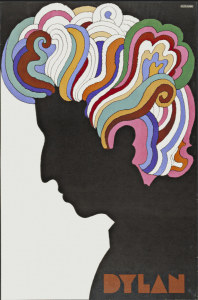 According to one of your graphic poster called “Bob Dylan,” it becomes so popular in today’s society with its exotic and iconic style. Can you tell us the story behind that art piece? How did you come up this unique style? A: Sure. When I received the commission from the record company, which is asking me to design the cover of Bob Dylan’s newest album called Greatest Hits, I felt excited and nervous. Bob Dylan is a successful songwriter. It is my pleasure to be his album designer. However, since Bob Dylan was badly injured in a motorcycle accident, everyone would unconsciously feel depressed when Bob Dylan was mentioned. Therefore, I hope my design can avoid the viewers feel sad or depressed about Bob Dylan. Those negative expression is not what I want to indicate in the album design. Then I came up the ideas of using a mass of saturated colours to evoke visual vibration. Also, it is effective to catch the viewers’ attention when they look at the cover, because it is not only saturated colors on the portrait’s hair, but also a great contrast between the black face and white background. Q: But how did you come up the idea of depicting Bob Dylan’s profile instead of illustrating him in realistic representation? A: I don’t know whether you heard about Marcel Duchamp or not. His self-portrait is only a simple shadow of his side face, outlining the shapes of nose and mouth. I was influenced by him, so that I only use black and white to outline Bob Dylan’s profile. I don’t want to depict him in details, because it might cause a wrong attention. I want this graphic poster to capture the essence feeling of Bob Dylan himself and his music. An abstract profile of Bob Dylan can represent him and also give some spaces to the viewers to imagine. I think it is effective to convey the feeling of how people think about Bob Dylan and his music. What do you think? Q: Of course, I agree that it is better to depict it in this way rather than illustrating him in a descriptive and complicated way. Thanks for your time today and I hope we can meet next time. See you. Glaser, Milton. “Milton Glaser. Dylan. 1966 | MoMA.” The Museum of Modern Art, 2016, www.moma.org/collection/works/8108. Britannica, The Editors of Encyclopaedia. “Milton Glaser.” Encyclopædia Britannica, Encyclopædia Britannica, Inc., 27 May 2016, www.britannica.com/biography/Milton-Glaser. Joost Schmidt, Poster for Bauhaus Exhibition, 1923. Bauhaus was an art movement that started Germany which was from the Bauhaus school. The school was a combination of the art academy and of arts and crafts. It worked with the government for producing designers that would later on work in the design industry and work alongside local manufactures. 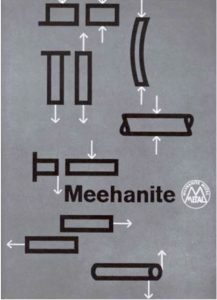 It essentially had two phases: The Expressionist phase and the Constructivist-Elementarist phase; this poster, designed by Joost Schmidt, was based on the latter phase. 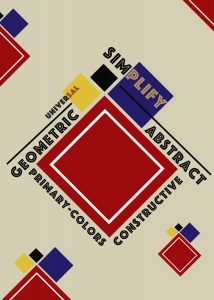 The Bauhaus Exhibition was meant to show that designers were able to create objects and graphics that would be helpful in German society. 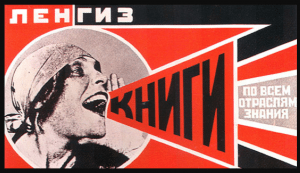 Schmidt’s poster was based on Russian Constructivism design. It is a diagonal composition featuring the colours red and black on a light background. The graphics used are bold bars and circular shapes. The typefaces used are sans serifs only in capital letters. The type is also integrated strategically into the graphics. When looking at this poster, I hear an orchestra. The overall shape of the graphics combined together remind me of musical instruments, specifically a trumpet and saxophone; hearing something that is jazzy and upbeat. The bottom black graphic also reminds me of a music note. When I look at this design, I hear the soundtrack from Whiplash called “Upswingin’”. This musical piece in the movie is dynamic, much like this poster. 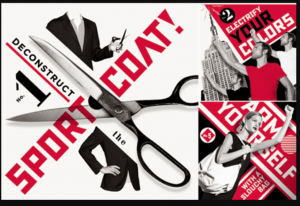 The poster uses extreme size for contrast, the bold and large graphics against the small type, much like the musical piece which uses extreme crescendos and decrescendos. Looking at the larger, bolder graphics makes me hear the trumpets and saxophones. The diagonal bars make me hear the drums keeping the tempo of the music. The graphics, overall, are simple but together make a dynamic piece. Much like this soundtrack that uses classical instruments to make a dynamic musical piece. Eskilson, Stephen. Graphic Design A New History. 2nd ed. New Haven, Conn.: Yale University Press, 2012. Print. Hurwitzz, Justin. Upswingin’. 2015. online. 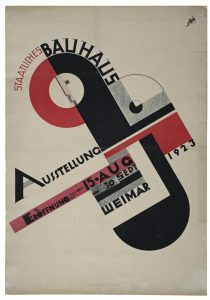 “Joost Schmidt, Poster For The Bauhaus Exhibition In Weimar, 1923 – Commercial Graphics – Bauhaus-Archive.” Bauhaus.de. N.p., 2018. Web. 4 Mar. 2018.